Buy F.E.A.R. 3 as a Steam Key. F.E.A.R. 3 is a First-Person Shooter (FPS) that blends classic single and multiplayer combat with the unforgettable Horror/Survival gameplay that the F.E.A.R. Franchise is known for. The third game in the F.E.A.R. 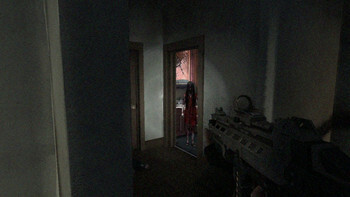 Series, F.E.A.R. 3 continues the intricate storyline tying together the psychically dangerous mother Alma Wade with her two sons "Point Man" and Paxton Fettel, as well as the F.E.A.R. Operations team. 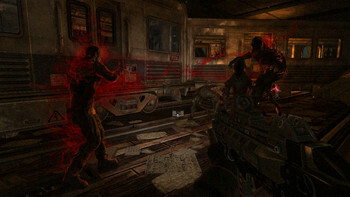 Players take control of both "Point Man" and Paxton Fettel at different times in the game, utilizing each's unique abilities and powers in a dark adventure that will test the player's loyalties, combat skills and sense of duty. Additional features include: co-op and multiplayer modes, cinematics and story input by John Carpenter and Steve Niles, and additional downloadable content (DLC) available online. 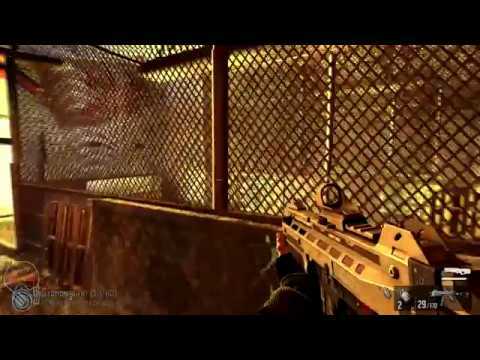 Nine months ago, Point Man and his F.E.A.R. Squad were tapped to stop a telepathically gifted cannibal who had begun a murderous rampage. Point Man learned the target was his brother, Paxton Fettel, working alongside their tortured and psychically powerful mother, Alma Wade. Despite this revelation, Point Man followed orders to destroy them and subsequently ravaged the surrounding city and most of his F.E.A.R. Team Now, it is clear that Alma's psychic influence survived - and worse, she is about to birth something that could destroy the world. Fettel has returned from death with an unclear agenda, refusing to leave Point Man's side and asking for help to reach Alma. 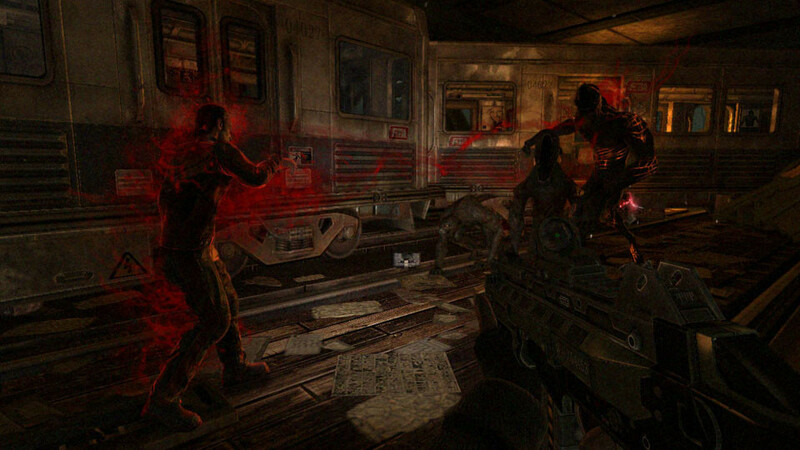 The remaining F.E.A.R. Squad is still trying to complete their mission. With his chain of command broken and Point Man calling his own shots, where will his allegiance lie. As with the previous two releases in the F.E.A.R. 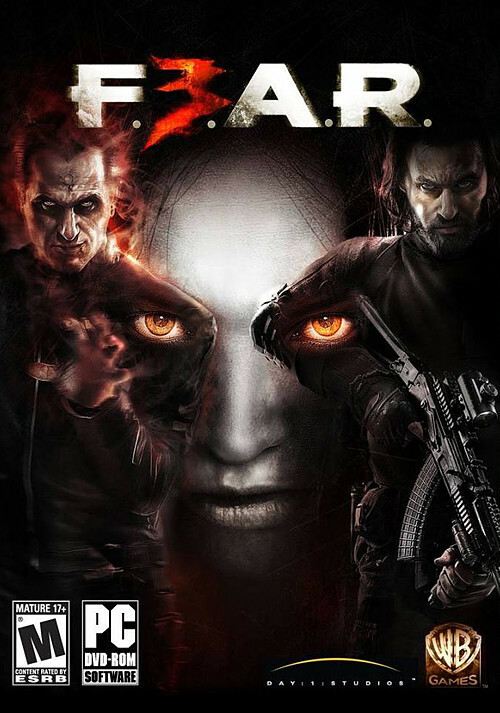 Franchise, F.E.A.R. 3 is a FPS with Horror gameplay. Players experience action both from perspective of Paxton Fettel - resurrected from the headshot he received in the previous game - and his brother Point Man, who was the trigger man. 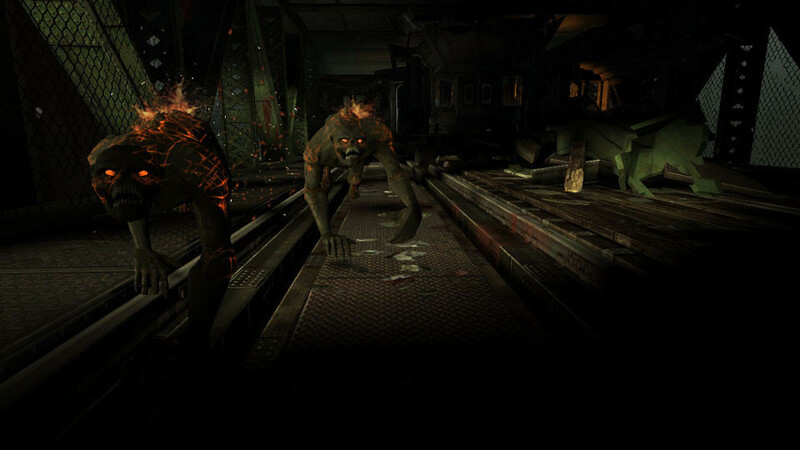 Since Fettel was indeed killed in the earlier encounter, his presence in the game is almost ghostlike, with he relying on a devastating range of telekinetic powers, including the ability to possess the bodies of the living in order to perform certain physical tasks. Point Man on the other hand is quite corporal and is a super soldier with expertise in a wide range of weaponry. He also has loyalties to the AI F.E.A.R. Operatives that populate the game. The problem with this is that the operative's goal is to eliminate the growing power of Alma, the mother of both Point Man and Paxton Fettel. Because of this players will face choices that will pit duty against family loyalties. 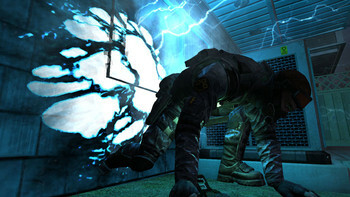 Both characters have access to mech units encountered throughout the game. F.E.A.R. 3 also features an impressive range of multiplayer options. 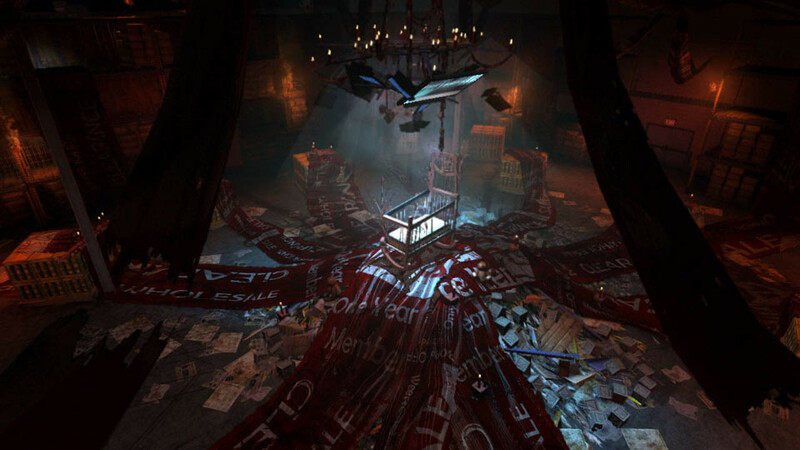 The first of these is a co-op mode that allows one player to take on the powers of Fettel, while the other assumes those of Point Man as they work together during an uneasy truce. An additional multiplayer mode is available that tests your ability to work together under stress and constant fire to get your squad from point A to point B as a unit. Multiplayer: A twist on classic multiplayer modes set inside the Almaverse provide an experience unique to F.E.A.R. 3. The AnaphaLlamas F.E.A.R 3 Ep. 1 w/ HurrDurrGamers: How Do You Do?